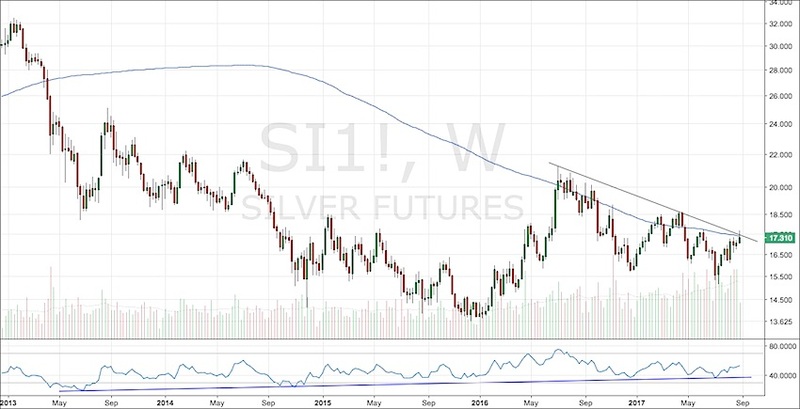 Is Silver Price Confirming Gold Sentiment? Earlier this week market participants were exposed to some after hour fireworks – North Korea had launched a missile over Japan. As expected, gold prices caught a bid and stock index futures pulled back. Despite the early pop in Gold prices on the 29th, price was faded the entire day. This also, interestingly enough, corresponded with a large bullish hammer in the US Dollar on the same day. Both are not good signs near-term for the gold rally… or for precious metals. There isn’t a whole lot to see here besides a clear downtrend, lower highs, lower lows, a bearish momentum range and flat 200 day moving average. If this was go time for precious metals, I have to believe Silver would be acting stronger. Again you can see the lower highs and lower lows within the downtrend since 2011. 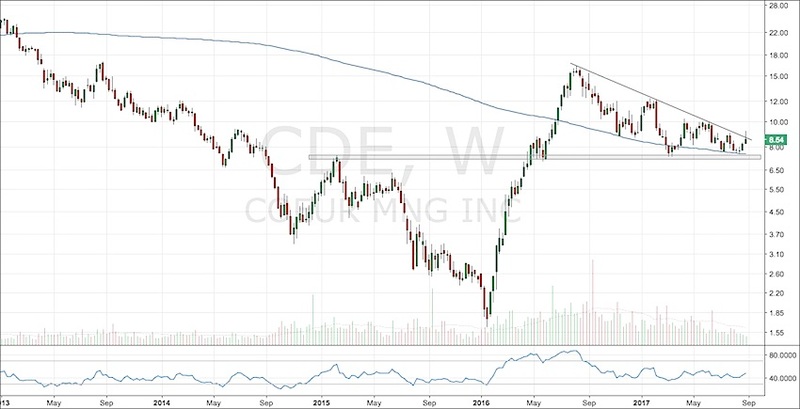 While the week is not over yet, it is interesting to note the fade exactly at the falling 200 week moving average and the down trendline. We are also seeing half the average weekly volume traded. If this were the beginning of a something larger, I would expect more volume to be coming in. 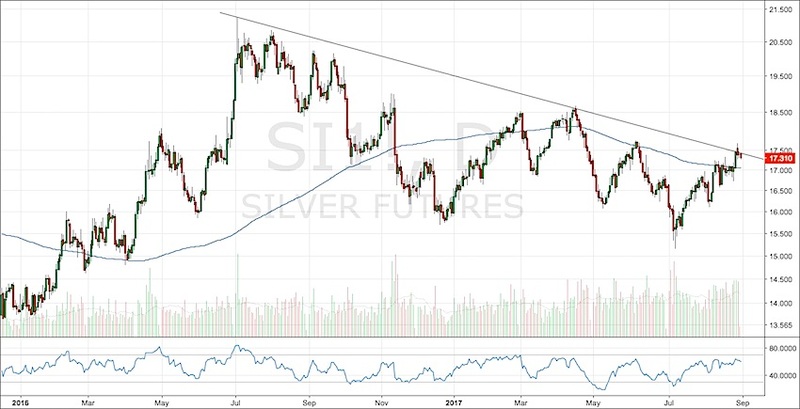 In the near-term, Silver which is the more risk-on metal does not seem to be confirming calls for a new bull market in precious metals. If anything, we may be exposed to a swift reversal here. With the Dollar down ~12% YTD and extreme bearish sentiment, I am looking for a rally. Will that help drag down precious metal prices? Time will tell. Note: While I am in the camp that precious metals are shaping up for the long-term, I am not ready to allocate capital to the space just yet. Thanks for reading. The author does not have a position in any mentioned securities at the time of publication. Any opinions expressed herein are solely those of the author, and do not in any way represent the views or opinions of any other person or entity.